A couple of weeks ago on a sunny Saturday afternoon, a flash of inspiration hit me and the boy. What better way to spend our evening than making limoncello? I like making fancy things, and I had heard limoncello was easy, cheap, alcoholic and sweet. I'm sure you'll agree that is a perfect combination. A quick peruse of the BBC Good Food website and a trip to Sainsburys later, and we were good to go. Get your ingredients lined up and ready to go. 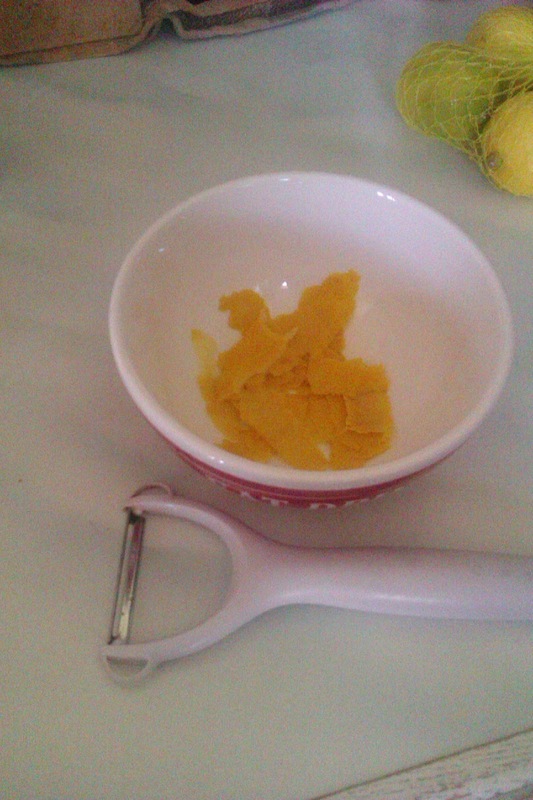 Start by removing the peel from the lemons. I used a normal veg peeler. Be careful not to include any white pith. Put the zest in your glass jars (these are from poundland). 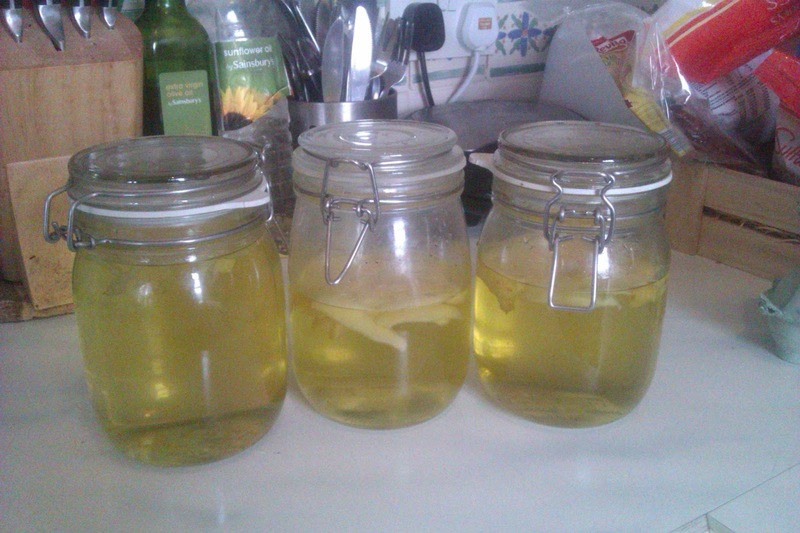 Pour your vodka over the lemon rind, close the jars and put them somewhere safe. 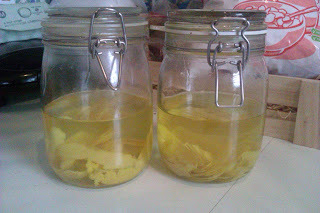 Wait for a week, but be sure to give the jars a good shake every day. Your vodka will start to turn yellow and smell lovely and lemony. After a week has passed you can make and add the sugar syrup. 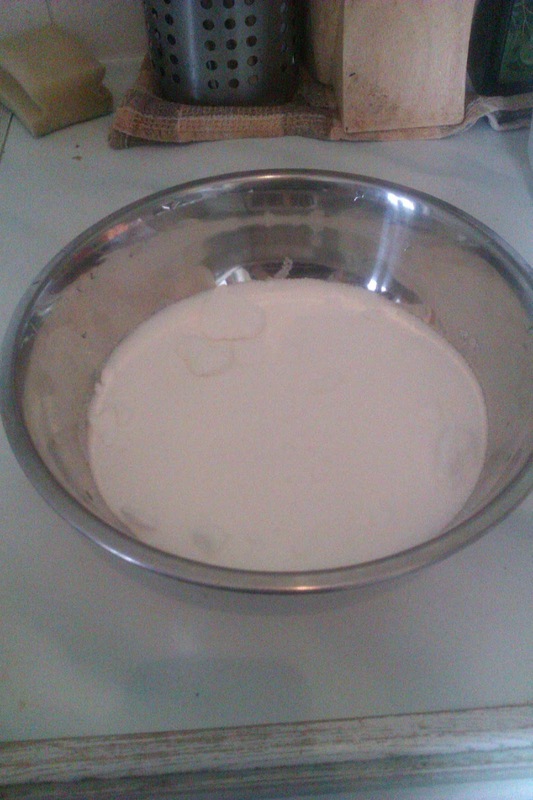 Put 750g of caster sugar in a mixing bowl. 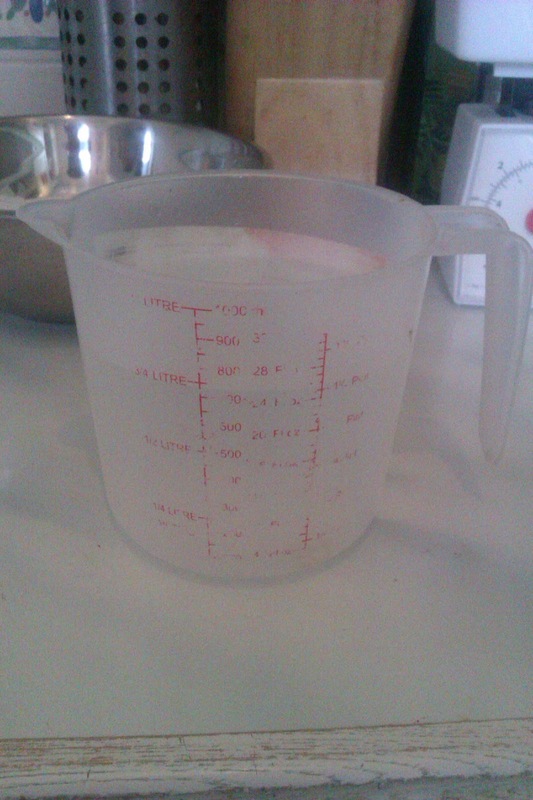 Boil some water in the kettle, and measure out 700ml. 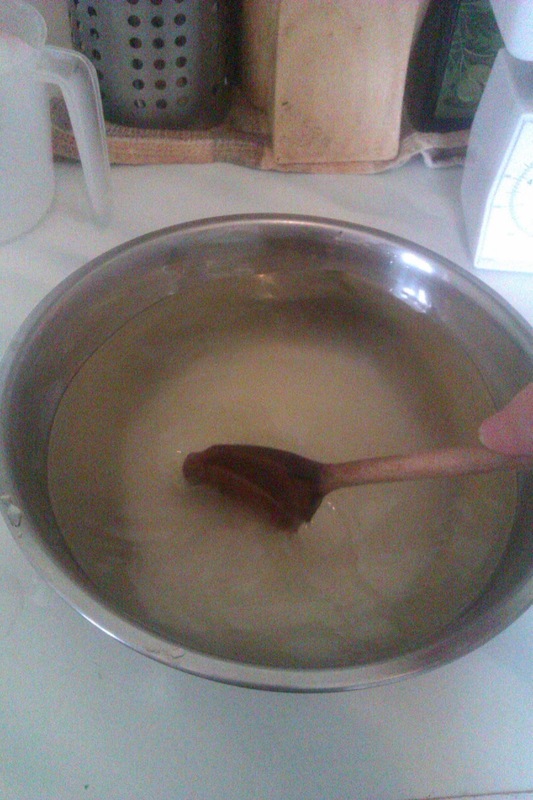 Pour the water over the sugar, and stir until it has all dissolved. 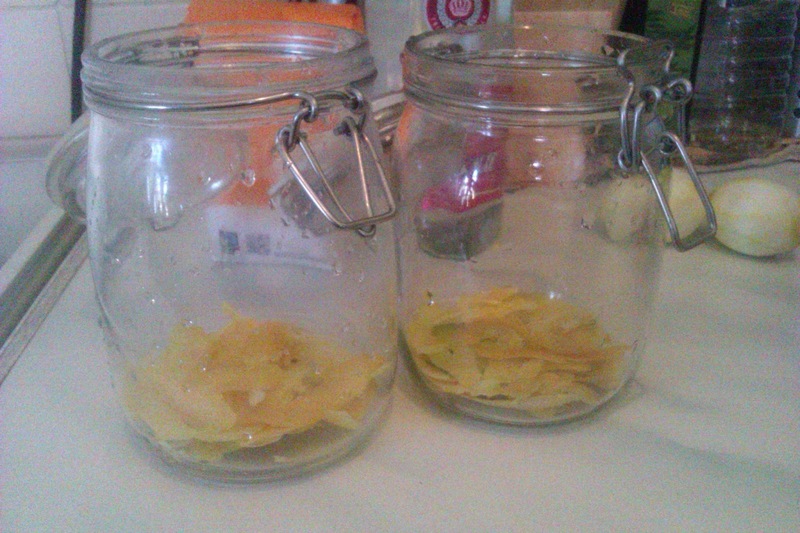 This smells unbelievably sweet - lovely! 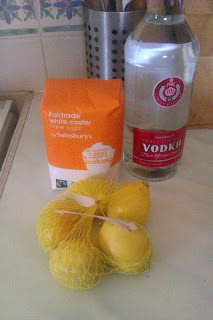 Pour your syrup into the lemony vodka and leave for another week. Again, give them a good shake every day. 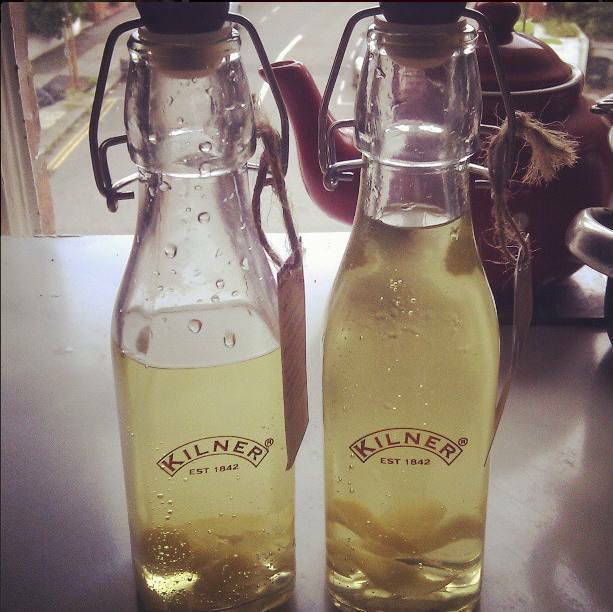 At the end of the week, pour in to pretty bottles, chill slightly and enjoy! 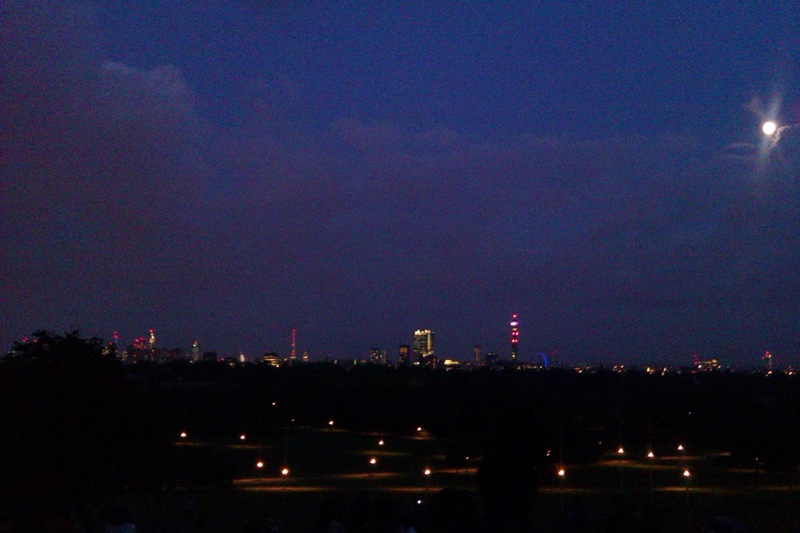 We had used ours while watching sunset on the summer solstice, sat on Primrose Hill. Very nice it was too. 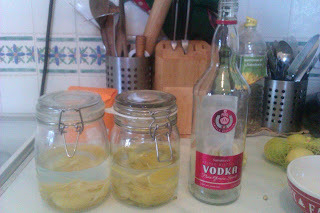 Making and drinking this limoncello has been so much fun. 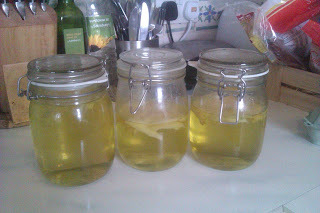 I definitely plan to do it again, and I might try some other flavours. Any suggestions?